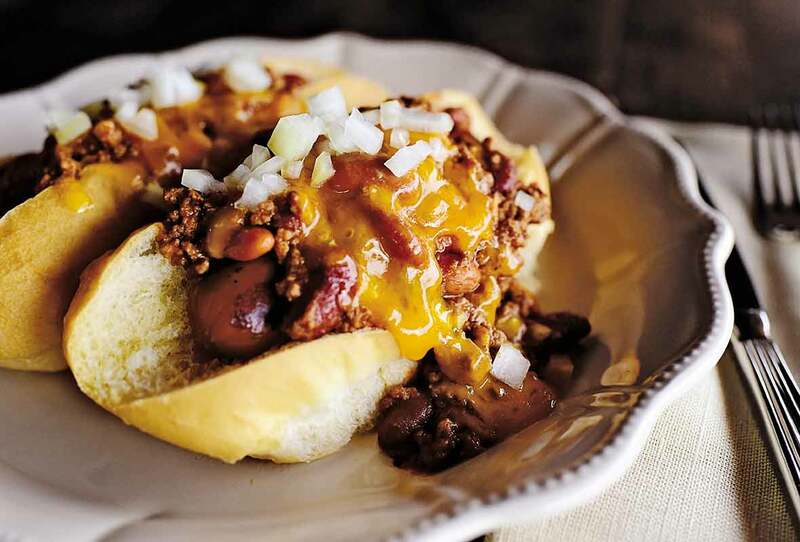 This chili dog recipe is unthinkably easy to make from a hot dog, chili, cheese, and onion. A robust appetite also helps. 1. Preheat the broiler. Split open the hot dog buns, place them on a baking sheet, and slide the buns under the broiler until toasted to the desired degree of doneness. Don’t turn your back on the as your buns could go from lightly toasted to ashes in seconds. 2. Place a small skillet over medium heat. Plop the hot dogs in the skillet and heat, turning as necessary, until browned on all sides and warmed completely through. 3. Situate a hot dog on each bun. Spoon a bunch of chili over each hot dog and then smother the chili and hot dog with cheese. If desired, slide the plate in the microwave or, if using an oven-safe plate, under the broiler and heat until the cheese melts, 25 to 35 seconds in the microwave or about 1 minute under the broiler. Be careful as the plate will be quite hot. 4. Sprinkle the chili dog with the onion and dive in. A fork and knife are recommended. Don’t forget ample napkins. Chili Dog Recipe © 2015 Ree Drummond. 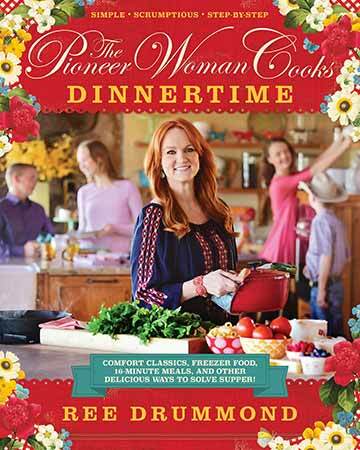 Photo © 2015 Ree Drummond. All rights reserved. All recipes and photos used with permission of the publisher.